Shark Fins Going Once, Going Twice, Sold! How does the market for shark fins help demonstrate Asia’s upwardly mobile status? Basic foodstuffs, including several fish species, have also held a quantifiable commercial value over time. The shark trade, however, is a more recent arrival to the world scene. A study in 2001 found that shark fins in Bangkok's markets contain mercury concentrations up to 42 times above the safe limit for human health. Men like Lim have managed to persuade Asian consumers that the very presence of stringy shark fin cartilage in their soup speaks to their own social status. Each kind of auctioneer has a style. There’s the robust cattle auctioneer, who spits out numbers in a bold, singsong voice that determines where animals go to be bred or slaughtered. There’s the elegant estate auctioneer, whose rich, mellifluous tone entices art and furniture collectors to fork over their savings. And then there’s Charlie Lim. A spectacled, wiry man in his early fifties, Lim sports a short-sleeved, button-down shirt and a modified bowl cut that lets his straight black bangs fall neatly across his forehead. Standing in front of the sort of shiny whiteboards that appear in classrooms and corporate conference rooms across the globe, he doesn’t talk much as he auctions off his wares. Instead, he shakes an abacus in short, regular bursts. Much of the time, the clicking of the beads is the loudest sound in the room. Lim is a shark fin trader. More precisely, he’s the secretary of Hong Kong’s Sharkfin and Marine Products Association. And at the moment he’s standing in a nondescript auction house whose spare white decor evokes a Chelsea art gallery. But when the auction begins, the buyers crowd around Lim in a semicircle, jostling for a look at the gray triangular fins splayed across the floor. A shark fin auction is as fast as it is secretive. By the time Lim takes his position at the front of the room, one of his assistants has already marked on the board behind him — in a bright red felt-tipped pin — which sorts of fins are being auctioned in any given lot. As soon as men dump the contents of a burlap bag on the floor, the bidding begins. Any interested buyer must approach Lim and punch his suggested price into a single device that only the auctioneer and his assistant can see. The bidders must make a calculated guess about what price will prevail, rather than compete with each other openly for a given bag of fins. Within two minutes the lot is sold, and the winning price per kilogram is duly noted on the board. Lim’s assistants sweep the pile back into its bag, using a dustpan to gather any errant fins that might have escaped to the side. Another bag — containing the first dorsal, pectorals and lower lobe of the caudal fins that are most valuable — is dumped on the floor, and the cycle begins again. The group of men gathered here — and it’s all men — are experienced traders who hear about these auctions through word of mouth. There is no downtime, no chitchat. There aren’t even chairs for them to sit on during the auction. Given the quick pace of shark fin sales, they must be prepared to bid without hesitation. The bidders show no emotion during the entire process. This isn’t fine art they plan to furnish their homes with, or livestock they will devote months to raising. It is a heap of desiccated objects they will seek to transfer to someone else as soon as they acquire it. Lim does make a few remarks in Cantonese about the fins before his feet, but it’s not the sort of chatter most auctioneers use to boost the price of a given lot. He’s not saying, “Take a look at these gray beauties!” or anything to that effect. Sometimes he indicates the species that’s collected in a given bag: blacktip, hammerhead or blue shark. But a shark fin auction is not really about salesmanship. It’s about moving product. Some rare metals and stones have carried a high market price for centuries. Basic foodstuffs, including several fish species, have also held a quantifiable commercial value over time. 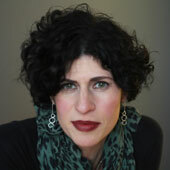 The shark trade, however, is a more recent arrival to the world scene. Unlike many other fish, such as salmon or red snapper, for example, shark does not derive its value from its taste or nutritional worth. In fact, there’s ample evidence that the high levels of toxins sharks accumulate in their bodies pose a potential threat to humans, just as tuna does. While many consumers — especially in China — view shark meat and fins as nutritious, sharks are likely to contain high levels of mercury because they are large, slow-growing fish that consume other fish as their prey, which allows mercury to build up in their muscle tissues. WildAid, an environmental group that crusades against shark fin trafficking, commissioned a study by the Thailand Institute of Scientific and Technological Research in 2001 that found shark fins in Bangkok’s markets contain mercury concentrations up to 42 times above the safe limit for human health. The market for sharks is based more on the animals’ mystique than anything else. In the same way that De Beers has convinced young men across the globe that women will be more likely to accept their marriage proposal if it comes with a diamond ring, men like Lim have managed to persuade Asian consumers that the very presence of stringy shark fin cartilage in their soup speaks to their own social status. Other marketers have different pitches, bottling sharks’ mysterious promise in a range of salves. One U.S. entrepreneur has made a decent amount of money peddling the line that sharks cure cancer, while other companies are in the business of advertising shark oil’s anti-aging properties. None of these appeals are based on science, but they tap into our long-held beliefs about the power of an animal that can consume us. And nowhere do they resonate more strongly than in Asia, where an ever-expanding group of consumers is seeking new ways to demonstrate its upwardly mobile status. 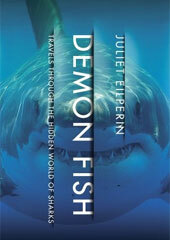 Editor’s Note: This feature is excerpted from Demon Fish: Travels Through the Hidden World of Sharks by Juliet Eilpren. Published by Pantheon in 2011. Reproduced with the permission of the author.